Relocating to a new house is stressful enough without having to worry about the logistics of an entire move. So when it comes to the heavy-lifting (literally), leave it to the professionals — professional movers, that is. Experienced Orange Park, FL moving companies consist of expert movers and packers who can efficiently pack, move and assemble your Orange Park belongings to ensure that you get off to a good start in your new home! Men on the Move Moving Service specializes in providing local and intrastate moving solutions to its customers. Our expertise, reliable track record and passion for customer satisfaction are designed to meet the needs of today's fast-paced world. 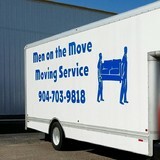 Make your next move a whole lot easier and call Men on the Move Moving Service. 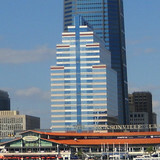 We are JSEB certified (Jacksonville Small Emerging Business) with over 10 years experience & 4500 jobs completed. We aim to please and strive for 5 on EVERY JOB! Our business is our livelihood but it is also so much more. 1st Choice Movers was started to fill in a void in the current market and to make a business that people can place their trust in. Over the years we have never lost our commitment to our clients and that is what has allowed us to succeed in a very competitive industry. The employees of 1st Choice Movers stand committed to our purpose and will provide the best service! 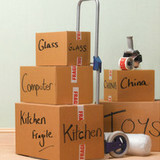 Affordable, local, quality moving service straight to your new home! Moving day can be stressful. Between the countless checklists and the clutter, an exciting time of your life suddenly can become overwhelming. Maverick Moving steps in with professionalism, experience, and patience to work with you to ensure a successful and stress-free moving experience. As our customers, your satisfaction is our number one priority! Throughout the years we have been in business, we have helped many customers like your self with the moving process, including residential and office moves of a variety of distances. You can rest assured that the safety of your items is very important to us during the move, and we do to ensure your belongings arrive perfectly intact. We look forward to helping make your move go smoothly. Please feel free to browse through our website or call us directly at (904) 638-7625 for more information about our services. Arpin Van Lines, located in Jacksonville, Florida, is an industry leader in household goods moving and storage services for corporate, government, military, and residential customers. With over 100 years of experience and a reputation for providing excellent service, Arpin Van Lines is the only U.S.-based, family-owned and operated moving and storage company that has remained dominant and successful for more than a century.